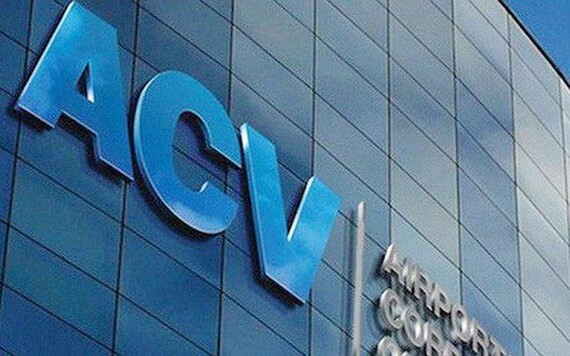 The Ministry of Transport yesterday affirmed that 95.4 percent shares of Airports Corporation of Vietnam (ACV) are state own so it is necessary to facilitate ACV’s investment in Terminal T3 at Tan Son Nhat International Airport to keep whole and develop state capital. At a quarterly press conference in Hanoi, the ministry’s representative said that currently the legal corridor for airport investment is insufficient. Besides, the International Civil Aviation Organization (ICAO) stipulates that each airport has only one operator. So in case new investors attend in the airport expansion project, it will be complicated and need the coordination and agreement of ACV. Furthermore, if letting private firms to participate in the project, the ministry has to fully implement relevant procedures to announce and build up project, short-list investors, set up bidding documents and organize auction to choose investors. That will lengthen the project’s implementation process while the airport is in urgent need of expansion. Besides Tan Son Nhat expansion project, commercial exploitation of Cat Linh-Ha Dong urban railway route in Hanoi and problems in BOT (Build-Operate-Transfer) projects received much attention from press agencies. 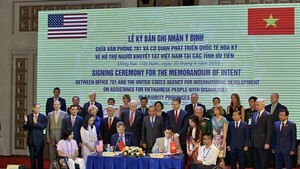 Replying to questions about breakdowns in Cat Linh-Ha Dong urban railway project, the ministry said that contractors must repair these breakdowns before handing over the project to Vietnamese side. It is unlikely to put the route into operation in early April as expected because of many difficulties and problems. To BOT toll stations, the ministry said that there are six BOT tollbooths posing potential risk to instability. Localities need to work together to ensure traffic order in these areas. The Directorate for Roads of Vietnam is expected to announce inspection results at Ninh Loc BOT tollbooth in Khanh Hoa province on March 29. Talking about the progress of reclaiming state capital in the illegal sale of 75.01 percent of shares of Quy Nhon seaport, Deputy Minister Nguyen Ngoc Dong said that relevant sides have agreed with doing procedures to transfer the shares to the state management.